Late again, I can see blogging is going to be more difficult in the spring/summer but I will get it figured out. Wednesday night I had the opportunity to eat at TAG Restaurant in Denver, with a group of agriculture supporters who are board members or advisers for an ag-based TV program. They also invited Denver area folks who work in ag. It was great to be in a room full of like-minded individuals, all of whom are interested in spreading the word of how agriculture works to consumers who are interested in food but often quite disconnected from the farm. AND I got to eat at an amazing restaurant. The salad, main course, and dessert were good, but the appetizers were amazing. I would put some of them in the top two things I have eaten so far this year. 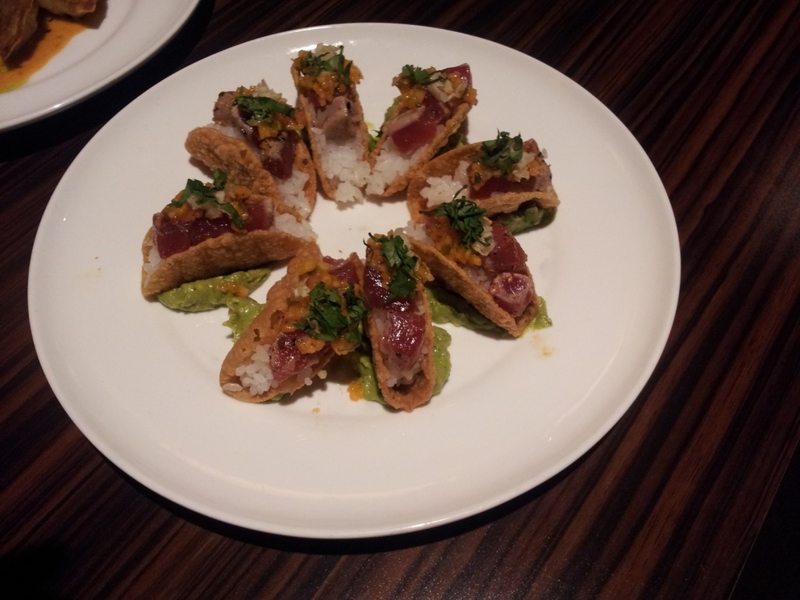 We had some of the TACO SUSHI / charred ahi, sushi rice, guacamole, li-hing mango salsa – these were awesome. The 2nd best appetizer. That is the only app we had that is actually on their current menu. The next one was small soft tacos, with beef and shredded cabbage, and quite a spicy salsa. Also excellent. Potstickers, steamed and then crisped. 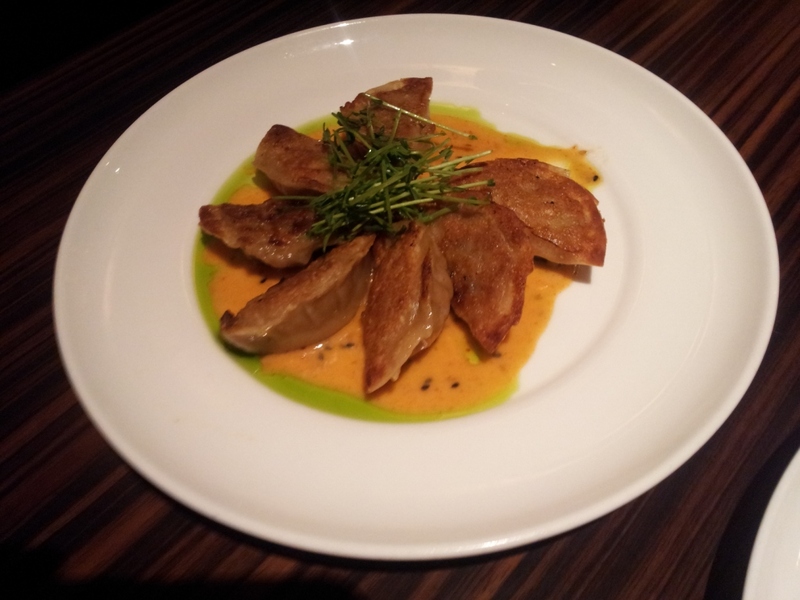 Pork, I think, but could have maybe been duck. Very good.They have seafood potstickers on their menu, but these were not seafood, I bet those are good too. 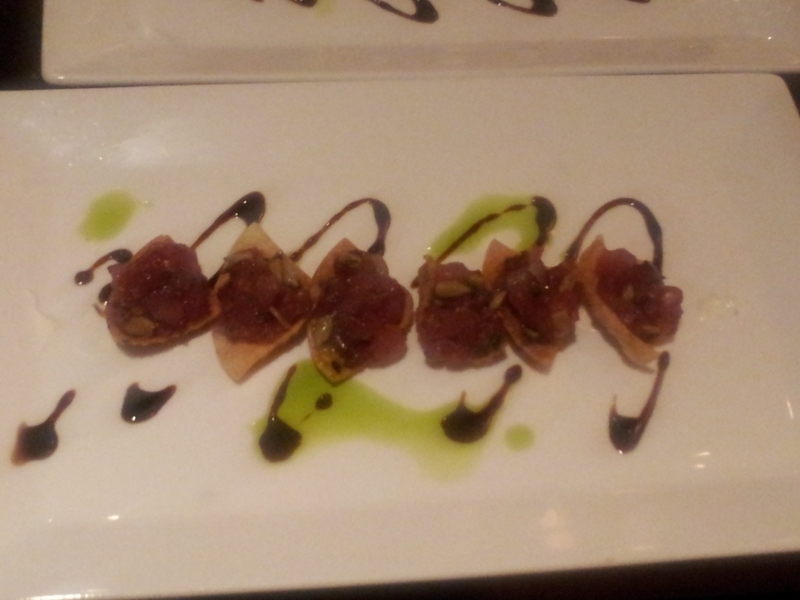 And the BEST appetizer, tuna tartare on a wonton crisp with sunflower seeds, and a little balsamic drizzle. Of course it was the best appetizer, and I got the worst picture of them. I could eat these all day long, they were sooooo good. Amazing sushi quality tuna. They had a nice spring greens and balsamic salad, and a choice of fish, beef, or chicken for the entree – I had the fish (Hawaiian Ono) and it was very good – everyone seemed to like their entrees. Red velvet cake for dessert. It was all good, but I will dream about those wonton chips for a while. Hoping I can get them if we just go to the restaurant. It is lovely this time of spring, driving to work on I-25, as there are usually 2-3 hot air balloons visible somewhere along my route every morning. This morning, there were about 15 of them rising together at one point, they kind of took me by surprise. Unfortunately it was not a great picture opportunity, since it is very, very smoky here right now because of a fire burning near Fort Collins. The beautiful hot air balloons kind of balanced out the beginning of my morning. That story starts last night, with Ken asking me how it felt if you had a broken toe. I said that I wasn’t sure, I had never had an xray to make sure, but I was sure I had broken my little toes at least once each by walking into door frames with them. (My mother always said I walked like a duck.) So apparently my subconscious was thinking about this over night, I slammed my right little toe into the door frame on the way out of the bathroom. I was AWAKE after that. Unfortunately my reaction also woke Ken up and scared the cats. So my toe hurts and it is smoky, I have my asthma inhaler handy. Glad it is Friday, and I go on vacation (after a few days of work) next week! 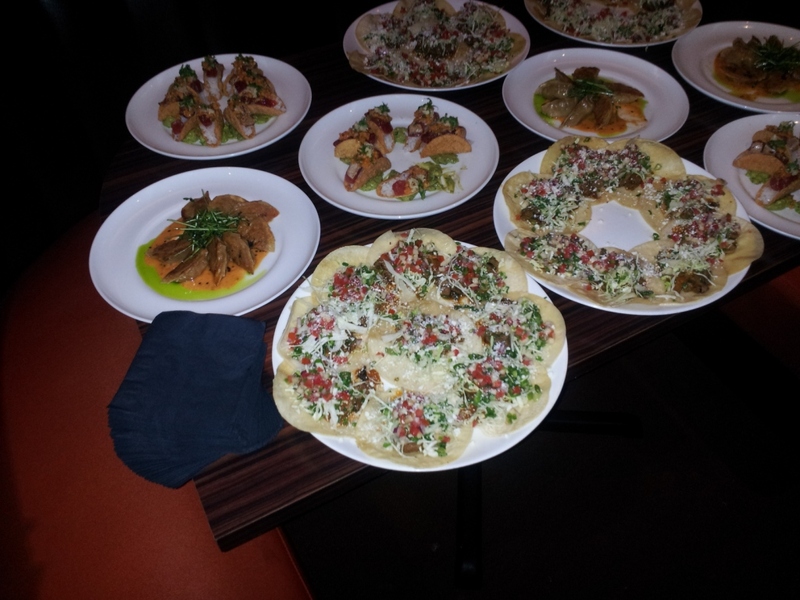 This entry was posted in Restaurant reviews and tagged Denver restaurant reviews, Food by glenderella. Bookmark the permalink. I hope your Friday has gotten better. At least it’s almost the weekend and very close to vacation time for you!! Wish I could send you a piece of chocolate cake to help. Hershey’s cake recipe from the back of the cocoa can in a 2 layer cake frosted with my favorite chocolate buttercream with mini chocolate chips inbetween layers and semi sweet ganache over it all. Too bad I don’t like chocolate cake. Thanks Terri, the ibuprofen is helping! Kristyn: I wish you could too – it looks fab-u-lous! Might be worth a house full of 9 year olds to be there for that! I will get the girls’ presents in the mail by Monday – check that off my list! Woo! Great Sand Dunes, Santa Fe, and Albuquerque, NM.